Ovation of the Seas is a Quantum-class cruise ship owned by Royal Caribbean International (RCI) and the third ship of her class. 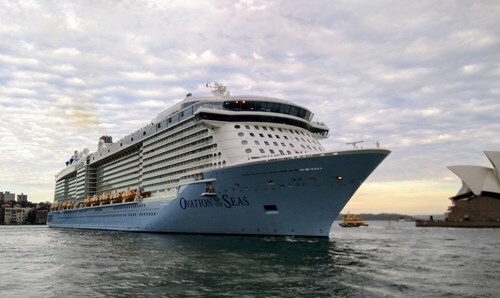 The Quantum class is the third largest class of cruise ships behind MSC Cruises's Meraviglia class and Royal Caribbean International's Oasis class by gross tonnage. The Ovation mainly sails from Tianjin during the northern summer season and repositions to Sydney during the southern summer season. No Reviews For Ovation of the Seas Yet! Why not get the conversation started and write a review today!